Glulam vs Solid Sawn Beams: which is better for your project? 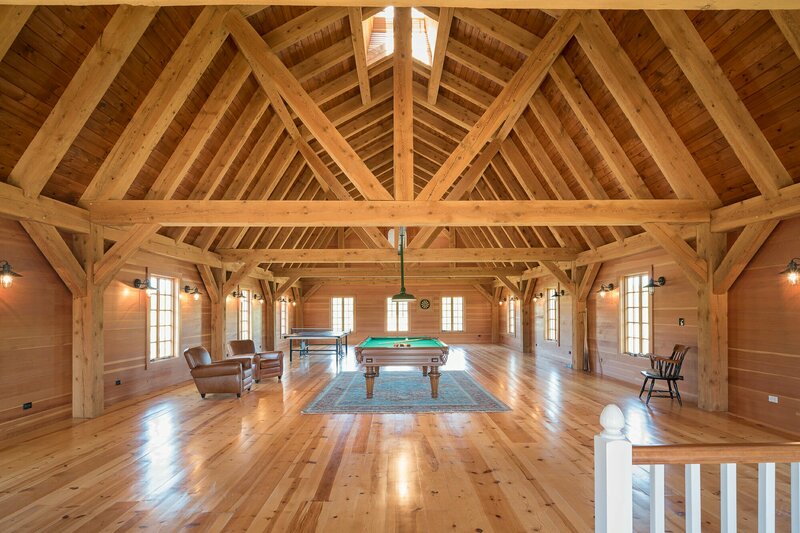 Blog > Custom Timber Frame Design, Design, Glulam, Uncategorized > Glulam vs. Solid Beams: Which Is Best For Your Project? Customers often ask us about using Glulam in their building projects and want to know how this material differs from solid WOOD beams. And how do you know when to use Glulam in your project and when to use timber? Glulam made from Douglas Fir. 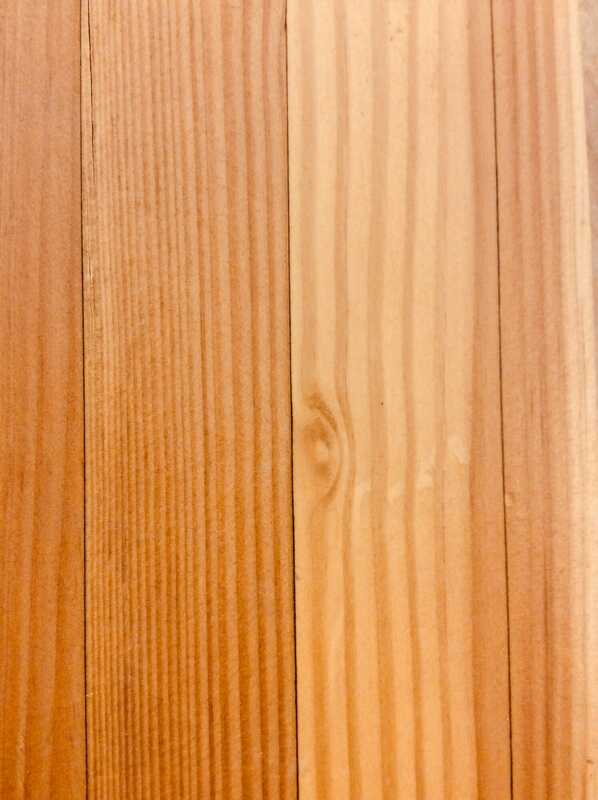 Glued laminated timber, also called Glulam, is a type of structural engineered wood product comprising a number of layers of dimensional lumber bonded together with durable, moisture-resistant structural adhesives. Glulam provides us with a longer and larger piece of building material that is composed of smaller pieces of lumber. This allows Glulam to be made from younger trees from second and third growth forests, and this makes Glulam relatively sustainable and faster to replenish than larger pieces of whole timber from older, bigger trees. Glulam is stiff and sturdy and can be bent and shaped. It is able to make longer arches than traditional heavy timber and not require a supporting beam or post. 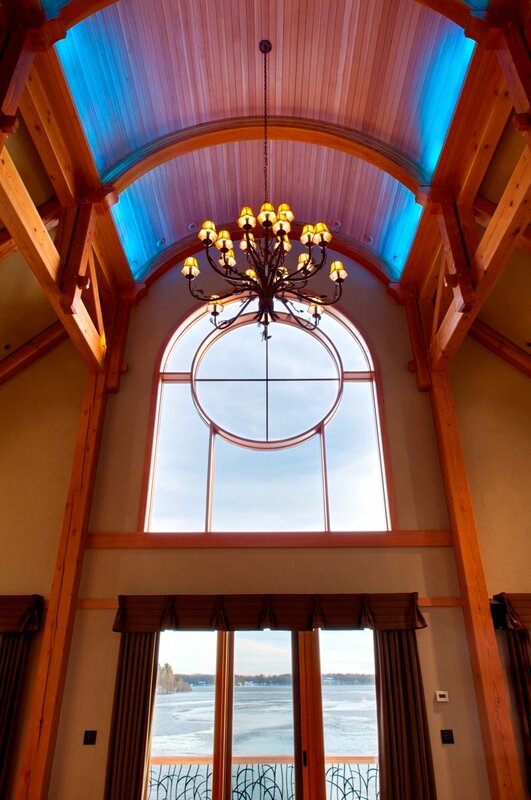 Douglas fir glulam arched beams match the custom round top window perfectly. The strength of Glulam can also be considered more reliable than solid beams because while the individual lams might have a knot or imperfection, the effect of those imperfections will be lessened by the lams nearby that don’t have imperfections and act as stabilizers for one another. A solid log that has an imperfection might not be as strong if the imperfection is large and weakens the whole beam. Glulam is also less prone to shaking, checking and warping since the smaller pieces of wood have been seasoned and laminated. This generally makes Glulam more stable than traditional timber. Glulam can also be more expensive than traditional lumber. When stained, it can look noticeably different than a solid piece of Timber and has a different aesthetic than solid beams. Solid beams have been used for Timber Framing for hundreds of years. They have a classic look and feel that a lot of people love inside their homes. If you want the classic look of a timber frame home, you’ll choose a solid wood for your Timber Frame. A Timber Frame constructed out of solid beams of timber will be strong and durable, but there is the possibility that the wood will crack or check. However, engineers account for this and often the cracks or checks don’t affect the structural integrity, they just change the look of the beams. Some people love this look and think it adds to the rustic quality of the timber frame. Beams constructed from rough sawn Hemlock timber and Birch pegs. When deciding between Glulam or Solid Beams it can come down to a matter of cost, design, and aesthetics. If you want something architecturally interesting and complex, with long arches over a wide open space, and with no beams interrupting the flow of the space, then Glulam would be recommended. If you can’t justify the cost of Glulam and you’re more concerned with achieving the aesthetic look and feel of a traditional timber frame home, then Glulam would not be the right choice for your project. It is also quite common to use a combination of Solid Beams and Glulam in a timber frame structure. This allows you to mix and match based on what’s important for you. For example, you could reinforce load bearing areas with Glulam that won’t be seen and use traditional timber for the rest of the structure. This would give your home the strength you want as well as the visual appeal. Or you could use Glulam for the long arches and do the rest in a heavy timber, mixing both types of appealing wood aesthetics. Both Solid Beams and Glulams are a strong, durable building material and are excellent choices for your Timber Frame project. Give us a call if you have any further questions or would like to discuss a project with Glulam or solid timber beams. I work for Studio Gang Architects who are designing a building in San Francisco and are thinking of using glulam doug fir beams for an exterior exposed truss structure. The longest span for a beam in this truss is roughly 15ft. For a 15 foot span, it is really up to you. The look of the timber is the most important thing as the span is relatively small. Glulams are made up of narrow pieces of wood glued together. They are more stable, and less pron to checking, but the laminations are visible. Solid timber is natural, and looks natural. It can check, which many people feel adds to the character of the wood. -Consider you that is a good idea make 8×8 with glulam technic? -Can i make traditional joints(timbre frame joints no nails or screws) with glulam? – in my country i can adquire 6×6 and 6×8 in S4S sizes. Do you consider that is better desing a department with 6×6 and 6×8 than a glulam technic?